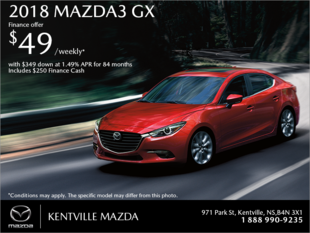 The special offers at Kentville Mazda are designed to help you save every time you visit us. 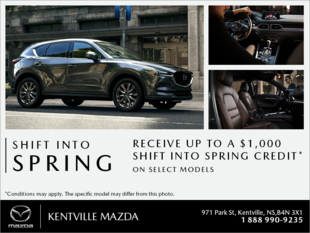 When you visit Kentville Mazda for your next Mazda vehicle, whether you’re looking for a new car or new sport utility vehicle, our special offers will help you save. 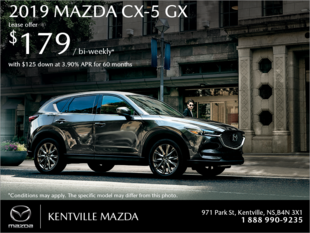 Our special offers can also help you save on pre-owned Mazda vehicles as well as on our after-sales services. 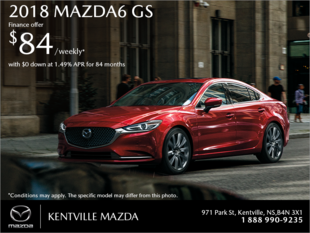 When you visit Kentville Mazda for a vehicle, whether it’s new or old, speak with our team of dedicated experts to get help navigating our collection of special offers. 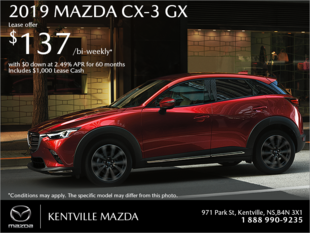 Our special offers are updated regularly and can help you save on new and pre-owned vehicles as well as on our after-sales services. 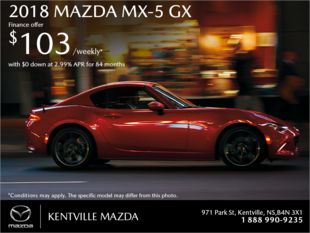 This includes maintenance, parts, accessories, and tires. 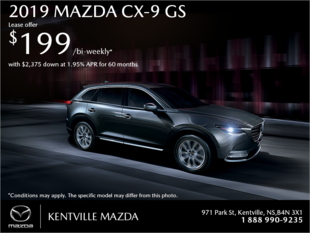 Our offers are updated every month, so take a look at how you can save at Kentville Mazda today. 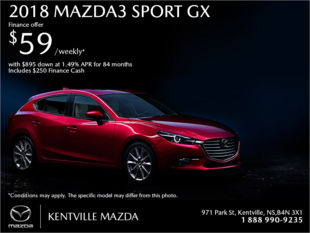 Visit us at Kentville Mazda today to see how our special offers can help you.